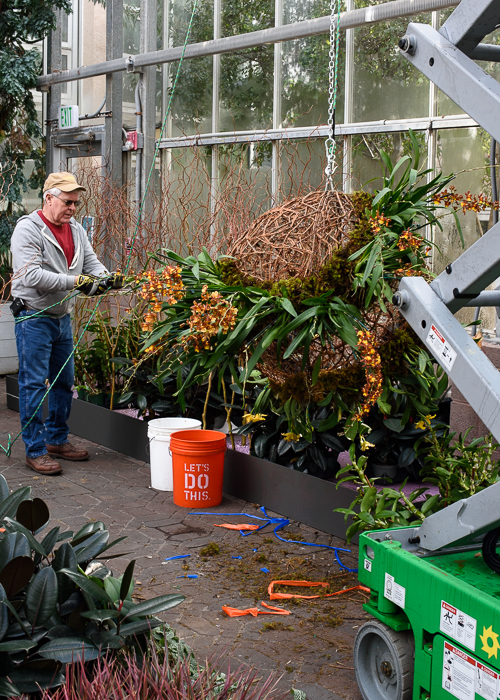 This year's orchid display is the most ambitious and technically demanding orchid display that we have ever done. 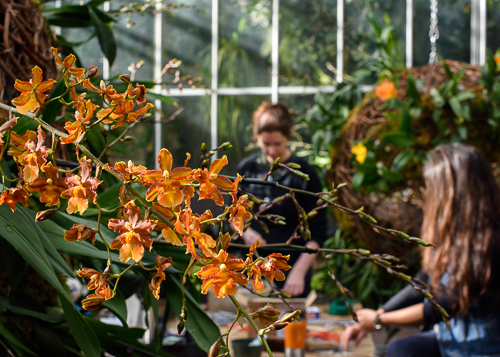 In January we set up shop in the Orchid Atrium to create the grapevine Orchid Spheres. Each of the grapevine spheres, which measured 3, 4 and 5 feet in diameter, took about three hours to make. The orchids were prepared in advance. To prep each pot, we drilled additional holes in the sides of each pot to allow water entry. To allow the pot to be inverted, each plant was secured in its pot with rubber bands. The top dressing of cocoa fiber retains the medium in the pot when it is inverted. 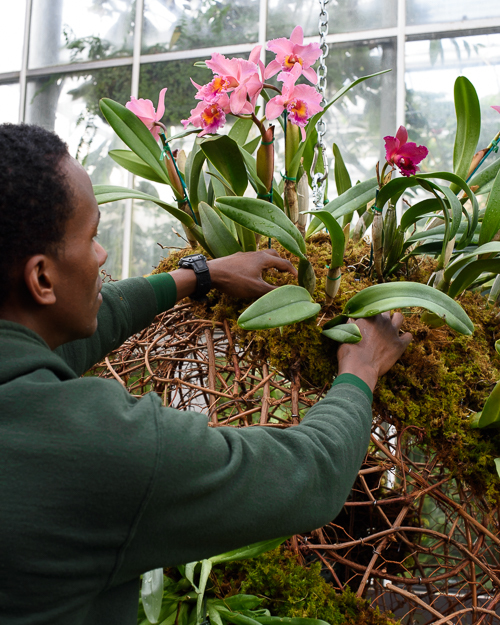 Jason attaches a Cattleya pot to the grapevine sphere using one inch clips. 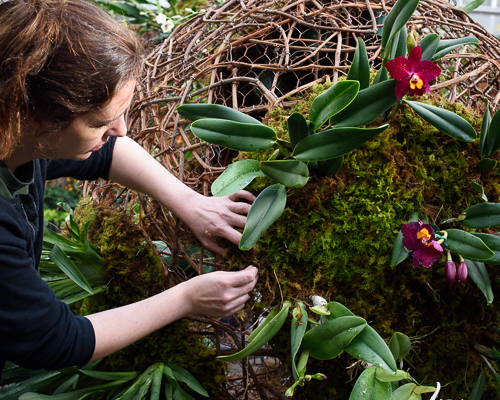 Sarah attaches moss to the sphere with bonsai clips that we made from hanging basket wire. 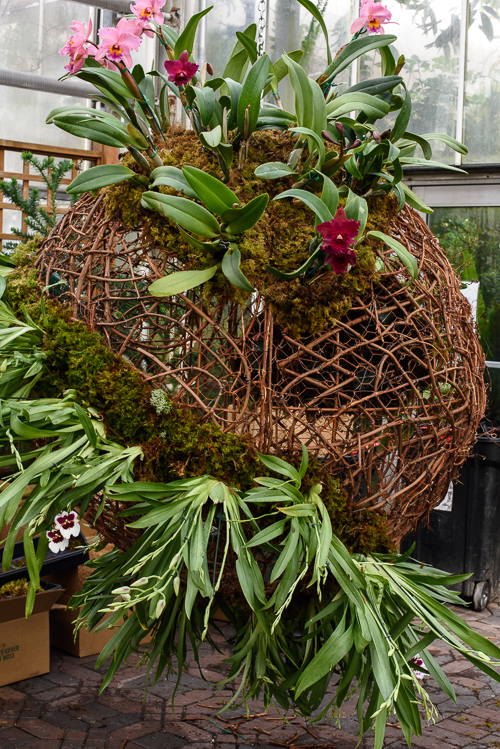 Cattleya and Miltoniopsis orchids on a finished sphere. Our designer, Tres Fromme wanted an airy open look for the spheres, and in places, you can see through them. Getting ready to hang one of the small spheres with pulleys, chain and a lift. 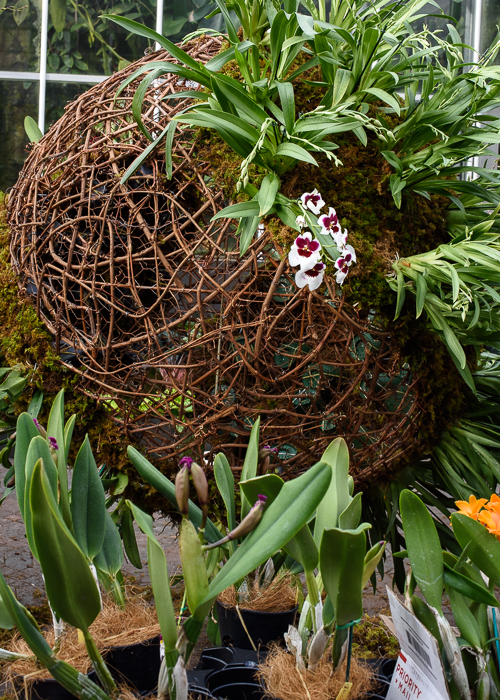 There are eight orchid spheres in the Orchid Atrium scattered at various heights. The orchids in the spheres will need a switch out after several weeks, so we are using portable scaffolding on wheels to access the spheres. 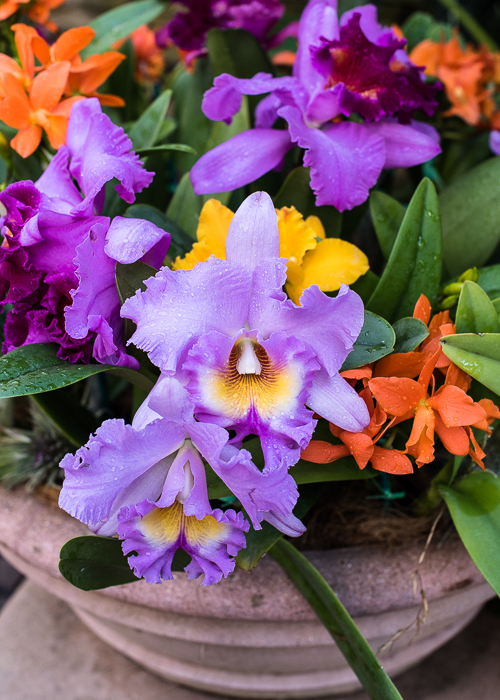 Orchid Daze 2016 runs through April 10. Stop by and see us!